For the vast majority of human history, the dominant economic system was the commons. In fact, many anthropologists believe that it was our ability to cooperate in using shared resources that drove our evolution, including the development of language. So how did such a fundamental mode of human behavior fall into such disuse — and even ill repute? We hear a lot about the “tragedy of the commons” and nothing about its incredible success, even where practiced in our capitalism-dominated world. And just as an aside — what about the tragedy of private enterprise? You don’t have to look very far to see how putting private profits over social needs is bringing us to the brink of planet-wide disaster. David Bollier is at the forefront of the modern commoning movement. He was part of the first effort to establish an international legal framework for the commons and is the author of several previous books about the movement. We’ve talked with him about some of them previously on this show. 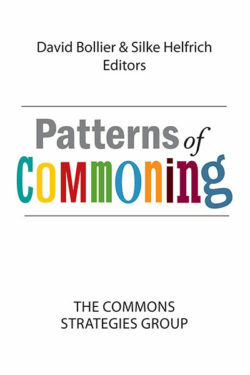 Bollier’s new book, co-edited with Silke Helfrich, is Patterns of Commoning. Collecting contributions from Commoners around the world, it richly demonstrates the vitality of the movement and its expansion into multiple arenas, from seed banking to free and open source software. The book covers neighborhood commons, both urban and rural (like the Potato Park of Peru, pictured above); arts and culture commons, technology commons, exchange and credit commons and biocultural commons. In its pages, a new, more convivial and sustainable means of organizing our economy comes to life. Brazilian president Dilma Roussef faces impeachment as her government is rocked by scandal and her country’s economy struggles in recession. It wasn’t supposed to be like that. In 2009, Brazil was the first Latin American country to be chosen to host the Olympic Games, slated for 2016 in Rio de Janeiro — an indication that the country had arrived as a major player on the world stage. But even then, serious questions were raised about Rio’s readiness to host the games — questions about violence from criminal gangs, rampant corruption and pollution from uncontrolled development. 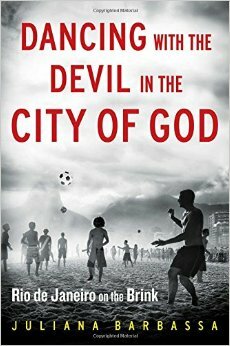 In her beautifully reported book, Dancing With The Devil In The City of God, my guest, Juliana Barbassa reveals cracks in the Brazilian miracle, taking her native city Rio as the exemplar. She writes about the epic battles between police and gangs, the resistance put up by poor communities to being swept away by development, and the ecological disaster that threatens Rio’s fabled beaches. She also shows how the preparations for the Olympic Games are revealing the fissures in Rio’s political economy. Award-winning journalist Juliana Barbassa was born in Brazil. She joined the Associated Press in 2003 and became the AP’s correspondent in Rio in 2010.